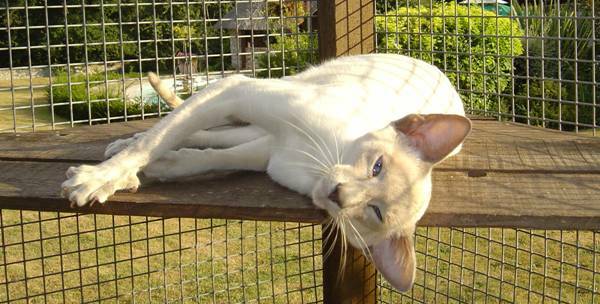 Our neutered girls live with Jaga, Max and Caden, and when laps aren't available they enjoy either curling up in front of the log burner in the winter, or exploring the garden and surrounding countryside. Poppy (or Woppy) is a sensitive soul, and is usually a little selective about who she gives her affections to, but once you've won her over she is your friend for life. She loves to retrieve balls, and can always be convinced to join in a game of chase. 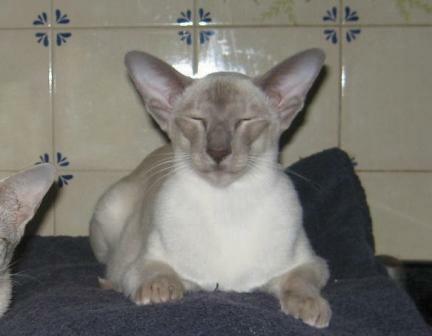 She is a beautiful example of the chocolate point colour, and has raised many beautiful kittens. 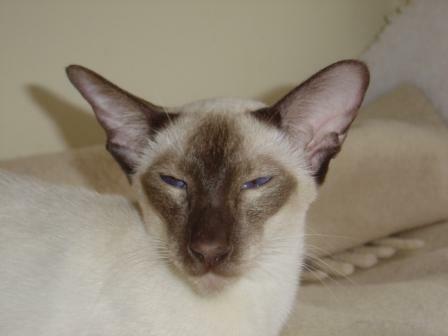 The eldest of our girls, she is possibly the wisest member of our Siamese family. When tasks are being undertaken at home, you can be fairly sure that they are under Poppy's watchful eye to make sure they are being done correctly. Forgetmenot (or Flip Flop) is a gentle girl with a bomb-proof personality, who takes everything in her stride. She has been gifted with her father's and mother’s good looks and personalities. She has had a very successful showing career so far, with many Best of Breed and Best in Show awards to her name already. Food is her biggest passion in life, just ahead of her next favourite thing - escorting Max on trips to the bathroom! Her goal is to sort out the peacocks in the back garden, who have the bare faced cheek to try to compete for food at the kitchen door.